. 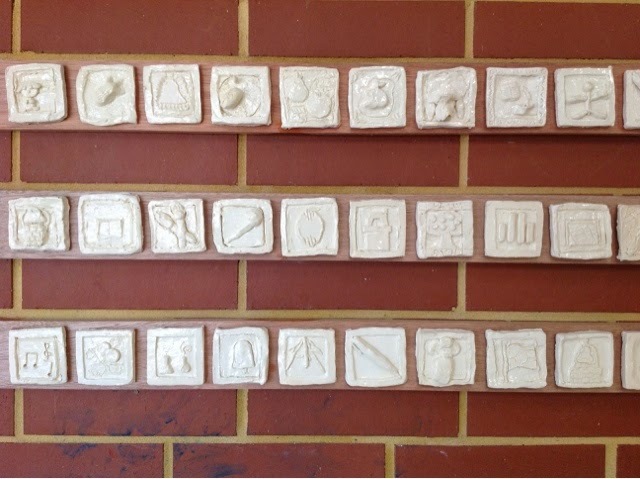 Pally Palette: Ceramic centenary project. Last year was our centenary year. The children across the school did a lot of research about life in the past, this included looking at school days in the past. We discussed what things we would remember about our time at school when we grew up. 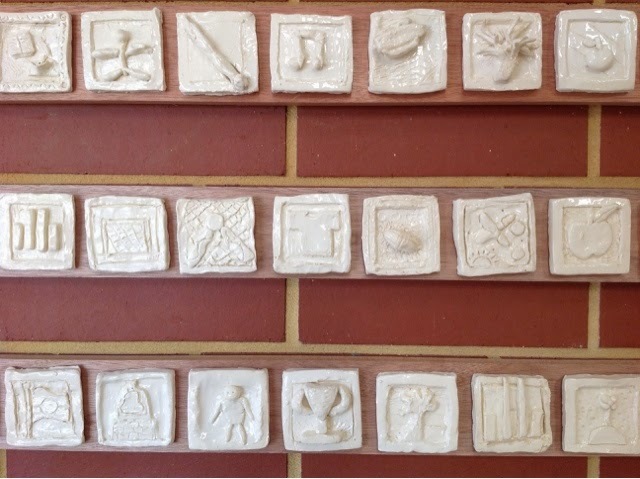 These things were recorded on ceramic tiles. the children rolled out the clay using spacers (two lengths of wood of the required thickness) and used a template to cut a square of clay. This square was carved out and added to using the scraps of clay cut away from the edges. 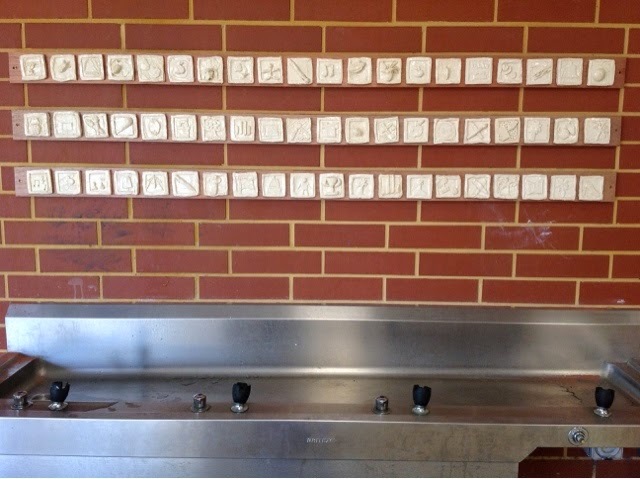 Each tile has something relating to our school today. ABC 123 - reading and writing, art, music, PE, crunch and sip, the Pally Patch and kitchen, the dogs that get tied to the fence when they come for a walk to drop kids off to school in the morning. 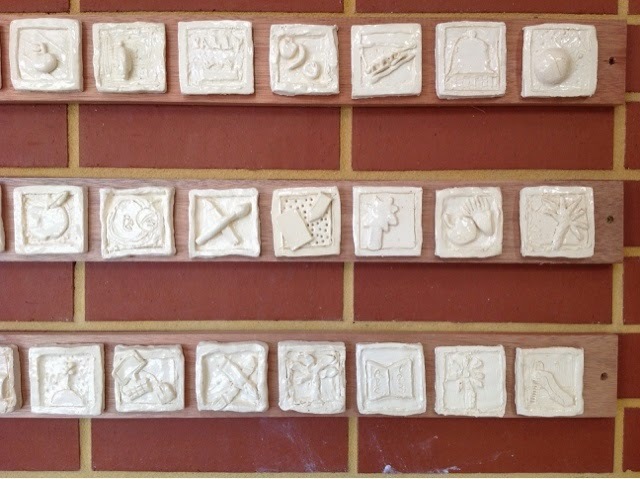 I found another 30 or so tiles that were tucked in a high shelf drying and still need to fire those, I'm waiting for the 6/7s to finish glazing their work to get a full kiln so there will be another two lengths of tiles to add to these soon.